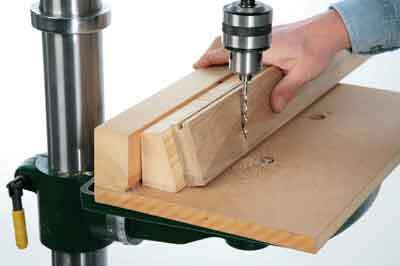 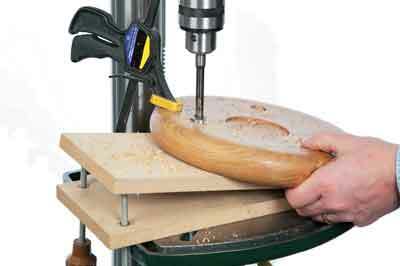 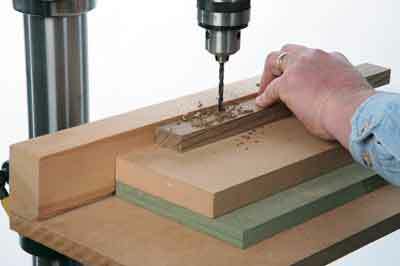 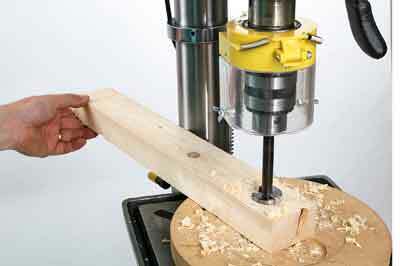 The drill press is much more useful than you would at first think and there are a few really good jigs and tips that will help you squeeze even more value from this machine. 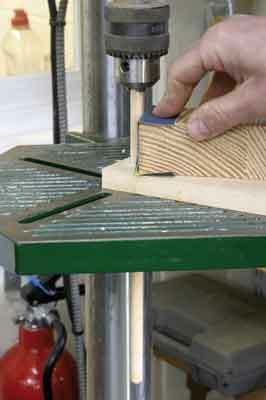 Another reason for using a jig rather than tilting the table is clearance. 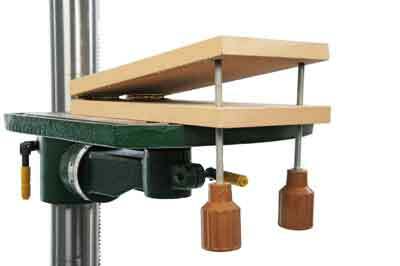 Often tilting the table with only relatively small workpieces causes the capstan handles to foul. 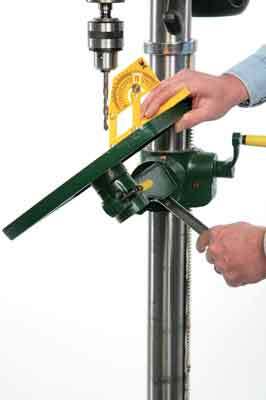 You can usually overcome this by unscrewing one of the levers and just using the other two. 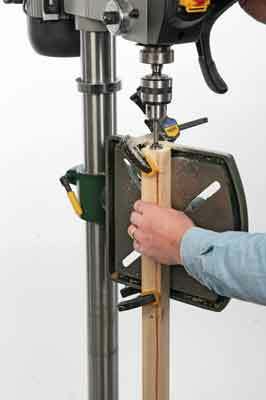 It seems to be difficult to get good-quality dowelling these days. 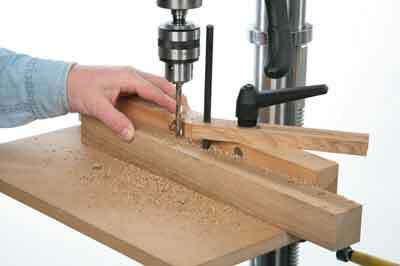 For a start you have all the nonsense of metric dowel and imperial drills and no matter how many bits you have you never seem to have the right size! 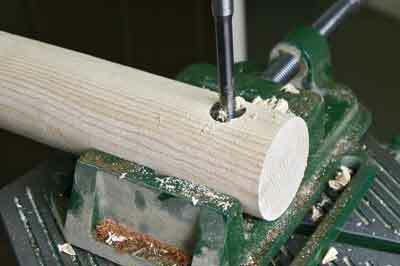 Then even if you do have the proper one, the dowel itself is often badly formed and probably it is not even round. 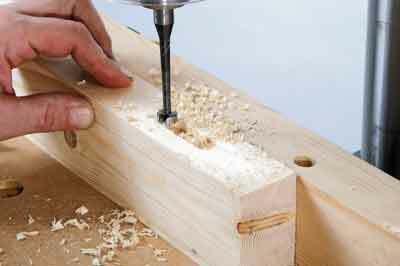 Ideally the dowel needs to be perfectly sized to the hole you want to fit it into and this neat little trick trues and sizes it in seconds. 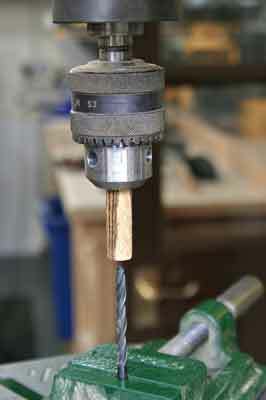 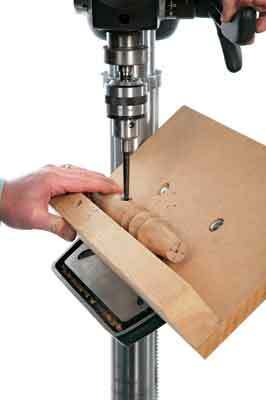 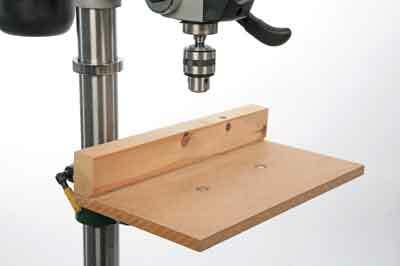 Drill a hole in a piece of scrap wood with a drill bit a fraction bigger than the dowel size you wish to create. 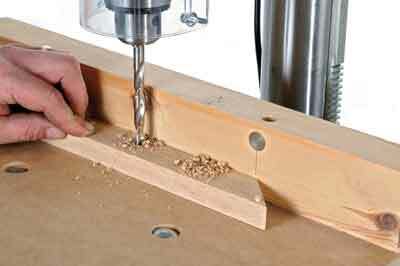 Countersink the rim of this hole to help the dowel enter it easily. 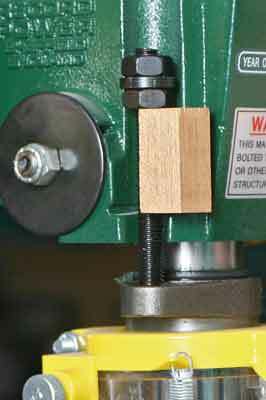 Grip one end of the dowel in the drill press and arrange the jig so that the dowel can pass through both it and the central hole in the table. 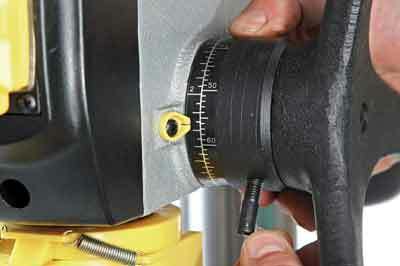 Clamp the jig in place. 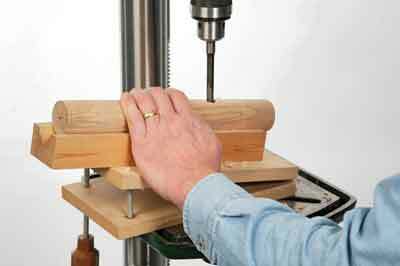 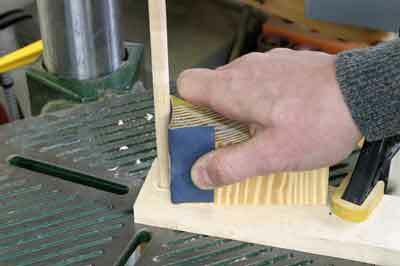 Start up the drill and hold a piece of abrasive wrapped around a square-cut block of wood against the revolving dowel, maintaining downward pressure with the quill. 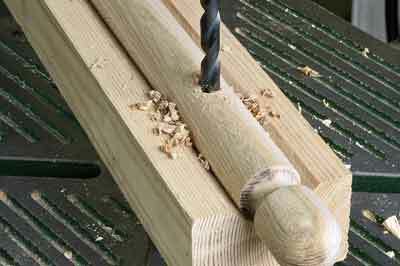 As the dowel trues up to the correct size, it will gradually disappear through the hole and you know it must be the right size. 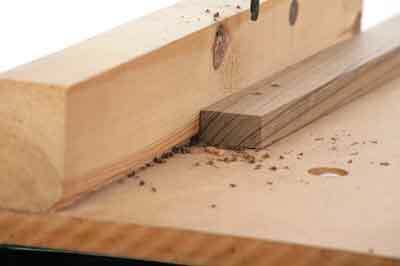 Use a medium to slow speed to minimise any burning of the dowel in the hole. 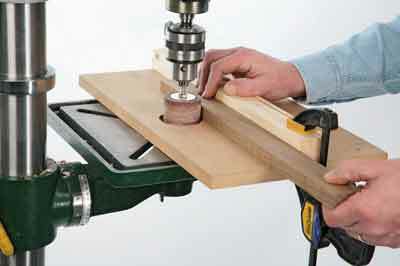 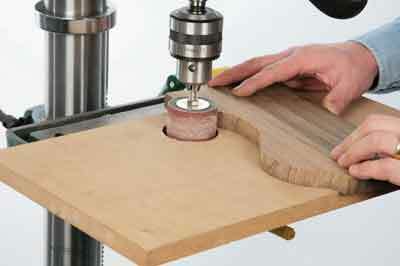 If you are truing up a long piece, stop the drill and raise the table when you run out of qull travel.